It’s hard to believe, but in less than 3 months the CAD geeks of the world will be gathered in fabulous Las Vegas, NV for Autodesk University 2008. So the ominous question is, how’s AU 2008 shaping up? Well let me answer that by formulating a list of what to expect at AU 2008. AU Unplugged is an interesting concept introduced last year. The idea was to host a series of topics which unlike a traditional AU class were a discussion not a lecture/lab. Having presented an AU Unplugged session last year the value really rested on the fluid exchange of ideas between attendees. The AUGI Beer bust is a bit of a tradition, and follows the annual meeting. It provides a stellar opportunity to meet new people, and rekindle old friendships. In past years the Beer Bust has been on Tuesday night. This year it will be on Wednesday night. Don’t worry, the Exhibit Hall will still open Tuesday night, and serve as the venue for the Grand Opening Reception. Inspired by the global success of Cut&Paste’s annual digital design tournament, the AU Design Slam adapts this fast-paced, live-on-stage competition format to test the skill, speed, and stage presence of our contestant teams in separate Architecture and Industrial Design competitions. In each round of competition, teams will be expected to create an original design based on the provided design objective within a 20-minute time limit. (Yes, really.) And the pressure will be on—while they produce their designs at lightning speed, competitors’ work will be shown in real time on large-scale projections, making it possible for all AU attendees to express their awe, admiration, shock, or dismay for every click, stroke, and last-minute change. Preliminary rounds will be held on Wednesday, and the finals on Thursday. Open to all AU attendees, the Top DAUG contest is divided into two rounds. 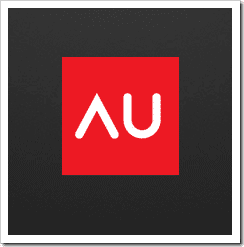 The first round will test both your knowledge of AutoCAD and your skill with AutoCAD. The 10 contestants with the highest scores from the first round will then face-off in the “Top DAUG Finals” on Thursday at high noon in the Community Pavilion area! The Finals will pit the best of the best with each other in a fast-paced, high-energy showdown. You won’t want to miss it! Whether you are attending AU or working through the week from the office, you can follow along with events at AU using cool Web 2.0 technology. I plan on tweeting my AU experience through TheCADGeek twitter feed. 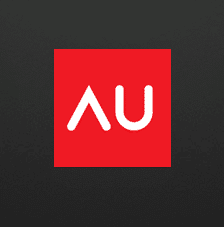 In addition to myself, AUGI has set up a similar AUGIatAU twitter feed which will let you know the latest news at AU as it happens. “AUGI Top DAUG Contest, Open to all AU attendees” = not true.